Adding colour and light to your kitchen! Glass worktops allow you to easily transform the look and appearance of your kitchen to something highly stylish, fashionable and yet practical. 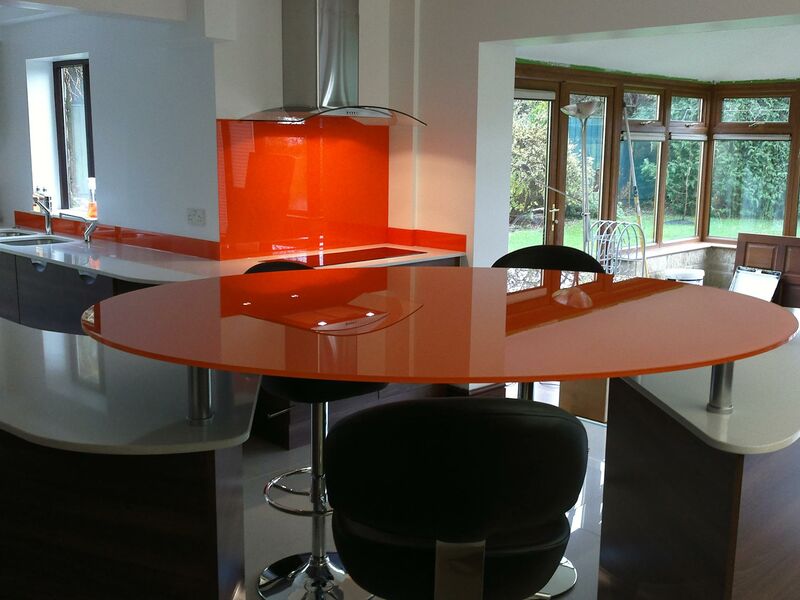 Glass worktops can make your kitchen appear brighter and lighter by reflecting light. 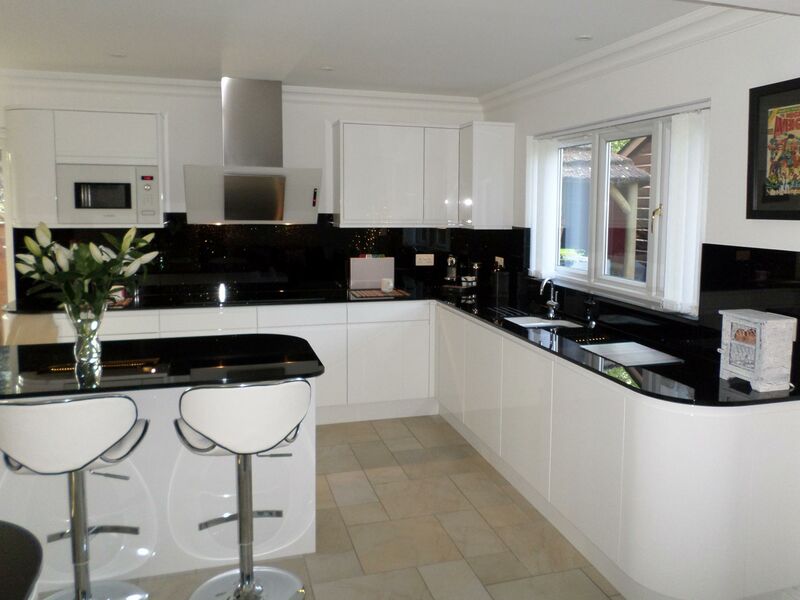 Our glass worktops are also very easy to keep clean as they do not use grout which tends to get mouldy. There are lots of standard worktop colours to choose from. In addition we have our own range of unique finishes that include Satin, Fizz, Sparkle, Metallic and Shimmer. We manufacture our glass worktops in-house using the latest CNC technology and so your design can include cut outs for example for sinks, taps and hobs and can also incorporate drainage grooves. Our service can be either supply and fit or supply only across London and the south east. 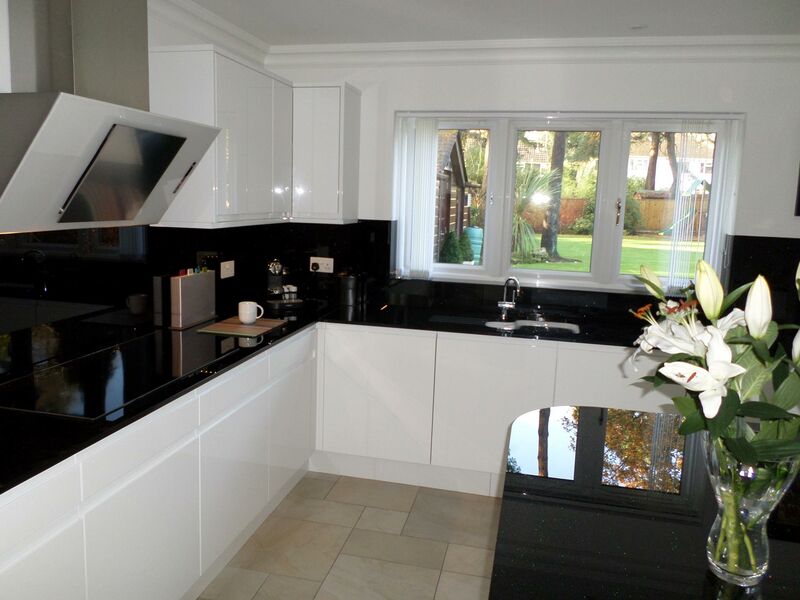 Trading for over 60 years now our glass worktop team have a wealth of knowledge and experience to ensure you receive the highest possible level of service and workmanship. We look forward to working with you from developing your idea to final installation, regardless of size, complexity and location in London and the surrounding area. A vibrant and stunning new worktop range! We have launched a new range of soft Satin worktops glass.